Wet rooms have been popular on the continent now for quite some time. A wet room can make maximum use of a small space or alternatively can add the ‘wow factor’ to any bathroom or ensuite. Wet rooms continue to grow in popularity in this country and estate agents have confirmed that properties listed with a wetroom receive far more interest as well as a premium price. 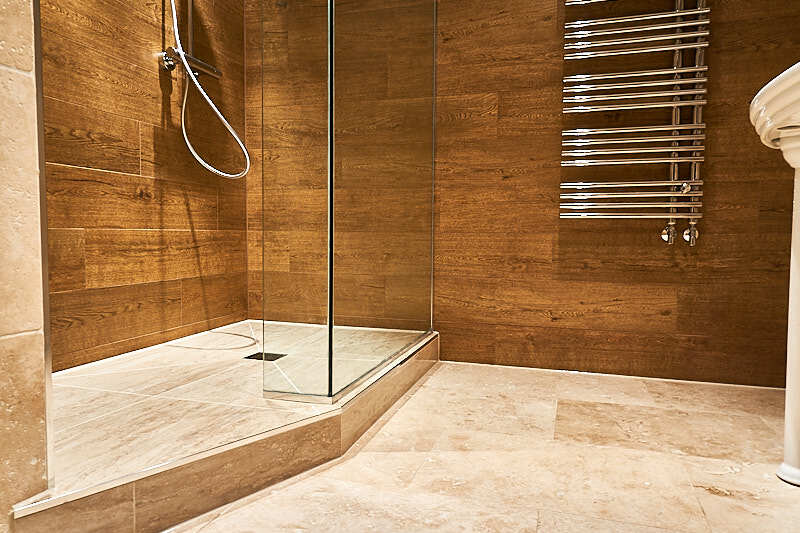 Essentially a wetroom means that you can install a preformed shower tray directly into the floor. These trays have a built in gradient enabling water to flow directly to the drain. We set the tray directly into the floor ensuring that entire shower area and floor are fully tanked. This ensures that the shower area is fully waterproofed even before tiling takes place. We use systems supplied by Schluter and Mapei for all of our tanking as well as Marmox boards for the floor. As well as being easier to clean, wetrooms are considered super stylish and generally make the room feel bigger. People often complete the clean look by installing wall hung toilets and sinks.